As I was going through 7th house lord series, I was getting these thoughts about various things impacting the relations between two people and I thought of penning everything down once I finish 7th house lord series. I don’t know if I will reach any logical conclusion by the time I finish this article but I just wanted to write about this complex area of Relationship Astrology. Actually, right now, I only have some scattered thoughts and I hope to put them in a logical way, so that my inferences could be understood. The basic idea of writing this article came up when I see charts of some of my clients. A girl having a malefic planet in 7th house got married twice and both times, somehow, she ended up in getting married with guy who has same malefic planet in 7th house. Another girl got into relationship with a guy who had debilitated Venus, so after couple of years of relationship they broke off and then after sometime this girl gets into another relationship and guess what; this new guy also has a debilitated Venus. On the other hand, a girl had Jupiter-Mercury-Venus in 6th house (means least possibilities of disputes as all 3 most benefic planets are preventing her from disputes) gets married to a guy, without much of horoscope match, who has Mars in 3rd house (from where it aspects the 6th house and kills all the disputes before they arise). A Muslim girl marries a Hindu guy without any belief in Astrology and later finds out she has Rahu in 7th house, so she was supposed to have an unusual marriage. So, why these things happen? How come we attract and get attracted to similar type of people in our life? When there are millions of people of same age group available at the same time, who also have different nature and morale, then how come some people always attract people of similar nature? How come a person who has very auspicious 6th house gets married to someone who takes all the precautionary measures and safeguards to avoid dispute? How come someone who has no belief in Astrology, goes on unintentionally follow his/her own chart? 1. 1st house and 7th house. 2. Planet as lord of 7th house going in any house. 3. 7th house lord planet as Karaka. 4. 7th house lord planet as lord of another house. a. Position of the Houses - So, in a horoscope, as we know, 1st house represents Self and 7th house represents Spouse. So, 1st house and 7th house are directly opposite or in front of each other. Now, if I am the 1st house then what I can see, recognize and easily get attracted to in front of me? That’s my mirror image. Nothing else I can recognize faster and get attached to than my own mirror image. So, your spouse is none else but your own mirror image. Now, many of you, who have suffered bad relationships, will be up in arms against me for saying – “How could he/she be my mirror image”? Well, the easiest way to find how good someone was, is or would be in relationship, is to observe how good/bad person behaves with “Other People”. 7th house is nothing but “Other People” or the Masses. Your spouse is one of those Other People who comes into your life. So, if you are not good in behaving with people in general, who come across, and then there is a very slight chance that you will get a spouse who behaves well with you. Although, I agree that it will need a very minute observation to realize that you behaved in a way to your spouse which was very similar to how you treated other people in market or street or came in touch with in daily routine. If you had been rude and harsh to these Other People in any way then it becomes a great possibility that Other People including your spouse can be rude or harsh to you some day. This way, your spouse is just a mirror image to you. b. Expectations – Now, this point can be stretched to unimaginable length but let’s keep it very concise to Love. That is the basic expectation from a relationship. Everyone seeks Love from Spouse. Now, pay attention. “Everyone seeks Love from Spouse”. It means what? Is everyone Love Deprived or never been Loved? No. Actually, it is opposite. Thing is that we have only learnt to receive Love. We were never told to give love to others. It all starts as a child, when everyone comes home and starts loving the child. Child gets so pampered that he feels that he is here only to receive love. Now, this child goes into World after few years and demands love from others as he never learnt to give love. And of course, he is demanding from those who also know only to receive Love. So, it becomes a situation which was quite appropriately described by Osho Rajnish in one of his preaching on relationship as “Two Beggars asking money from each other”. So, the basic thread of expectation between 1st house and 7th house is tied from wrong ends. Relationship should be about giving Love & Care to partner rather than expecting it. Else it is just an endless search of a partner who can, as most famously said, “complete us”. No other person can complete you because that other person is also looking for another person to complete him/her. So, giving love should be the base of relationship rather than receiving love. c.	Relation between lords of both houses – In one of my earlier articles (http://astrosaxena.com/relations), I dealt with this concept that relationship between the lords of 1st house and 7th house is not friendly in any case. For Aries, Taurus, Libra and Scorpio Ascendants, 1st house & 7th house are ruled by Neutral Planets (Mars & Venus). Although, they are neutral to each other still they are very opposite energies. Mars is God of War and Venus represents Peace. Mars is Dominance and Venus is Diplomacy. So, despite being neutral, they are still very opposite energies. For Gemini, Virgo, Sagittarius and Pisces Ascendants, 1st house & 7th house are ruled by Enemies (Jupiter & Mercury). For Cancer, Leo, Capricorn and Aquarius Ascendants, 1st house & 7th house are ruled by Great Enemies (Sun, Moon and Saturn). Why I brought this up here? My point is that neutral, friend, enemy or great enemy, all these planets are part of you also. They rule some relation, characteristics, traits in you also. So, it is very unfair to think that you see my spouse was Saturn ruled, so we don’t get along nicely and feel restriction in relation. Well, that Saturn is part of your chart too, it is sitting somewhere in your chart, impacting you and your behaviour. So, if your relationship is restricted then you also have a role in bringing that restriction in relation. Again, it shows that relationships are difficult and that’s why may be Venus is karaka of relationship. Karaka also means “which makes things happen”. So, Venus can make your relationship happen. How? Venus is Diplomacy and Peace. It is also Service and Devotion. So, through cultivating these qualities you can make relations work from your sides at least. d.	Capacity of Relationship – A huge but often ignored area of Relationship Astrology is Capacity of being in Relation. Some people have good capacity to maintain a long term relation while others just don’t have it. How this capacity develops? Many will be amazed that this capacity can only be developed by looking at your parents in a healthy relationship. This is general rule that if a child has never seen his parents together, never seen any good relationship in family or has only seen them fighting, then that child can never have a good relationship in life. There can be few exceptions here and there but this is a generic rule that your relationship problems may root back to your parents and their problems to their parents. A girl would never have a positive feel about marriage if she sees her father beating her mother. Likewise, a boy will forever be repulsive of relations if he sees his mother cursing his father. So, if you want your children to have a good relationship in future then maintain a good relationship between you and your spouse now. Else there is nothing to blame the spouse of your child to spoil the relationship because that relationship was broken by your own hands in his/her childhood only and your child has just attracted befitting spouse to manifest that spoilt relationship. e.	Other representations of 7th house – So, 7th house is not only your spouse. It is 4th from 4th house and 10th from 10th house. So, it is Bhavat Bhavam for the house of Mother and Father both. No surprise that a guy looks for someone caring and nurturing like his Mother as a Spouse and a girl looks for someone Dependable and Responsible like her Father as a Spouse. Digging deeper, 7th house is house of Mother’s Mother and house of Father’s Father. So, if you are facing some relationship issues then your family lineage has more to do with it than your spouse. Relationships must have been spoilt from that generation and you are just carrying the results. 2. Planet as lord of 7th house going in any house – Now, as we have seen the deep analysis of the relation between 1st house and 7th house, let’s look at how 7th house lord also indicates the same things which are already part of your life even before marriage and hence you attract a spouse in life with same qualities. 7th house lord shows many things about spouse but that 7th house lord is also a planet of your chart and would be sitting in a house which has more relevance than marriage. It means your life was already impacted by 7th house lord and hence you got a similar spouse to satisfy the needs of same 7th house lord. Suppose, someone has 7th house lord Mars sitting debilitated in 10th house in Cancer for Libra Ascendant. From 10th house, it will aspect 1st house of self, 4th house of home and 5th house of happiness. If no other benefic impact is there then it means your spouse will have dominance struggles with you (1st house) which spoilt the home environment (4th house) and effected your happiness (5th house). But guess what; you married at the age between 25-35 and that Mars was always there in your chart debilitated in 10th house. So, will it give result only after your marriage being 7th lord, even if you go through Mars MD before your marriage? No. That Mars was always part of you and your life. Prima-facie looking at the same chart without any inclination towards Marriage Consultation, it shows that this person has an attitude of dominance towards everyone in society (10th house). He misbehaves with almost everyone, that’s his fame. This behaviour impacts his personality (1st house), brings stress in home (4th house) and kills happiness (5th house). So, these things were always part of his life even before marriage and hence Universe gave him a Spouse who is equally rough and tough to deal with. So, by his own nature and behaviour, he attracted his mirror image. Spouse has nothing to do with it or we can say that Spouse truly shown him mirror image and “Completed” him. Another example, Venus is 7th house lord and sitting in 2nd house in Sagittarius. A thing can be said that Spouse will be very religious. But guess what; 2nd house is house of Family and having Sagittarius there means that his family environment was always very religious, even before his marriage, and hence Universe gave him a spouse who can complete the religious family image. So, spouse is only the last cut of Jigsaw Puzzle to fit and complete the picture which was already in the process of making. Hence, it can’t be said that Spouse makes or breaks the Jigsaw Puzzle. Actually, the last cut of Jigsaw Puzzle can only fit in to the space that is left. It can’t create any new space. So, your spouse only fills up whatever is left by you in your life. In this way, spouse completes us. 3. 7th house lord planet as Karaka – Another way of looking at same concept is looking at 7th house lord planet as Karaka of things naturally assigned to it. Suppose someone is Aquarius Ascendant, 7th house lord becomes the Sun. So, we will say that his/her spouse will have Sun like qualities like Authoritative, Govt Employee, and Egoist etc. Now, if Sun is not well placed, we can say that it is about False Ego and Ego Battles between the couple (these are very generic statements, only for the purpose of examples). But then that Sun was always part of his life. Sun was karaka of his Health, Career and Father etc. So, if this person has Ego Battles with his Father and shows unnecessary Ego and Authority to his colleagues then he is already cultivating that negative false authoritative energy. Then if he attracts the spouse with similar traits and lands in Ego Battles then it can’t be any surprise, right? He himself attracted such spouse with his behaviour with Other People (7th house), hence Universe provided him. Like this, we can see for all the planets as 7th house lord and Karaka of certain things in life and if relation with Karakas are not good then high chance that he will attract a bad relationship or vice-versa. 4. 7th house lord planet as lord of another house – Except Sun and Moon, every other planet which becomes 7th house lord also rules another house in chart. Like, for Aries Ascendant, Venus rules 7th house with Libra sign but it also rules the 2nd house with Taurus sign. For Cancer Ascendant, Saturn rules 7th house with Capricorn but it also rules the 8th house with Aquarius sign. It is always a smart way to see which other house 7th house lord rules. How a person deals with things related with the other house will speak a lot about how person would deal with things related with 7th house. Like for Scorpions, Venus rules 7th house but it also rules 12th house of Spirituality, Foreign Lands and Donations etc. So, how this person deals with Spiritual Matters and Charitable deeds, will certainly make an impact on his relationships as they both are ruled by same planet. Likewise, for Virgo Ascendants, Jupiter rules 4th house of Home, Mother along with 7th house of Marriage. Here, his relationship with Mother and Home Environment will have lots of impact on his Married Life. This is also the reason why Cancer and Leo Ascendants feel relationships are tough because not only 7th house lord is a malefic planet Saturn but it also rules 8th house and 6th house respectively and these two are houses of Sudden Events and Conflicts & Disputes. So, relationships are always filled with possibility of Sudden Events or Disputes. 5. 2nd Marriage – Besides the ongoing topic, there were few questions related to 2nd marriage as I didn’t say anything about it during 7th house lord series, so let’s cover it here. There are different opinions among Astrologers as to which houses to look for 2nd marriage. Some say it is 9th house and others opine that it should be 2nd house. In my experience of looking at chart of people who went through multiple marriages, it is always the 7th house to look out for as 7th house deals with Other People and spouse is always one among other people. So, it is always 7th house that rules the marriage and we need to follow normal rules for marriage timing and relationship capacity for 2nd marriage too. Only advice here is that if your marriage has broken just after start of a Dasha then it means that Dasha is not supportive of relationship. Hence, let that Dasha pass away and wait for a Dasha which is more supportive to marriage. The best example can be Elizabeth Taylor (http://astrosaxena.com/elisabeth) who married 8 times but only 2 marriages survived for a considerable time and those 2 marriages were in between 1963 and 1980 when she went through a long Mercury MD. All other Marriages were short lived as they didn’t have the support of Dasha. So, in marriage matters it is always the condition of 7th house and Dasha supporting marriage. “Suppose someone never had a headache. Now, no matter how much other people around him will try to explain how it feels to have a headache; he will never be able to understand it. If forced by others, he will only start BELIEVING that there is something called Headache. But the day he has a headache then there is no need to explain him anything. He has felt it and experienced it. Now, he doesn’t need to BELIEVE in it because he KNOWS it”. Similarly, don’t just BELIEVE in Astrology. Put an effort to KNOW it and if you feel the results as per the things observed by you then it is your experience and knowledge, not merely a belief. So, know it rather than believe it. Hope this covers a lot and is helpful. 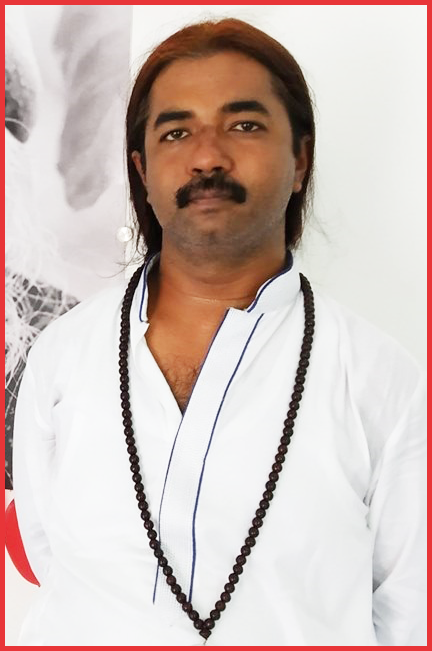 Vishal S Saxena – Astrologer. You are too humble sir....thank you so much for sharing your experience with us.